Te Kaitaka ‘The Cloak’ at Auckland Airport – Designed by Fearon Hay and Managed by RCP – has won in the display category at the 2014 World Architecture Festival, beating out competition on a global scale. RCP were the project managers for Te Kaitaika ‘The Cloak’ a conference, property and marketing suite that has been established in the heart of the growing urban environment at Auckland International Airport. It is a highly bespoke project that also contains non-standard / specialised building elements – particularly the green roof. 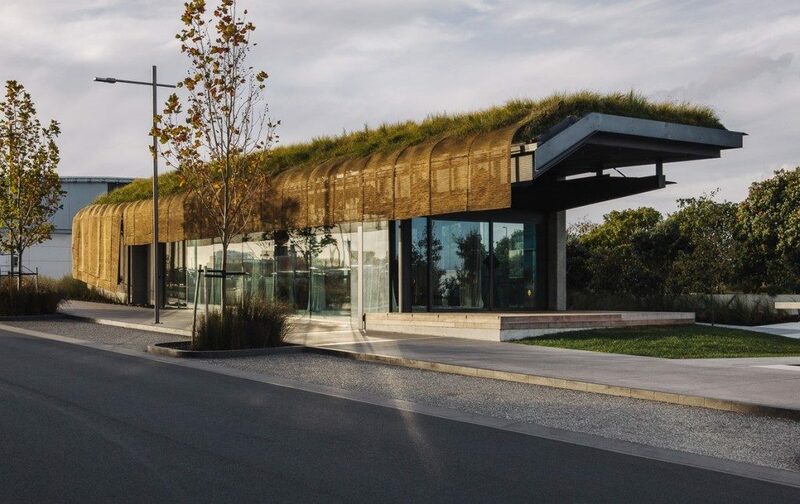 The building design has been carefully married with a Maori world view and acts as a flexible conference facility with its space also utilised for hosting events, meetings & introducing the strategy & opportunities behind the developing Auckland Airport Business District.